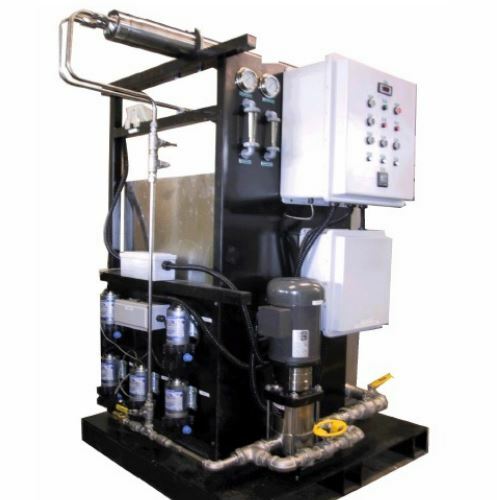 If you generate contaminated wastewater, grey water, sink wastewater, rinsewater or mop water in your production facility then Maratek's wastewater purification systems can help you recycle your waste streams for re-use or disposal, lowering your costs, saving your money and reducing your liability. Did you know that on-site recycling could reduce your disposal & processing fees by up to 90% by recycling and treating your wastewater in house? Maratek has worked with many companies who generate wastewater contaminated with latex, oils, solvents, lube-oils, grease, inks, coolants, glycols etc. where jurisdictions prohibit the discharging of wastewater to the sewer. Our Aquamizer WWR, WWT, WEH and Roto-Disc Liquid Filters allow for the safe disposal or re-use of this waste. We offer simple contract-free rental programs with no upfront costs, so you can start saving money immediately. You'll be in good hands at Maratek - As market leaders in solvent recycling for the last 20 years, we take pride in providing our customers throughout North America with reliable, innovative, and cost saving recycling solutions. We'll help you establish a safe, reliable, and environmentally friendly solution for wastewater recovery and recycling.